Lets get a definition of ‘child development’ out of the way first, as it’s important knowledge if you intend to learn about the subject. Child development is an area of psychological study devoted to understanding change and constancy from birth through to adolescence in the average human being. Child development is part of a much larger field called developmental science, which focuses on the changes we experience throughout the entire lifespan, not just through to adolescence. 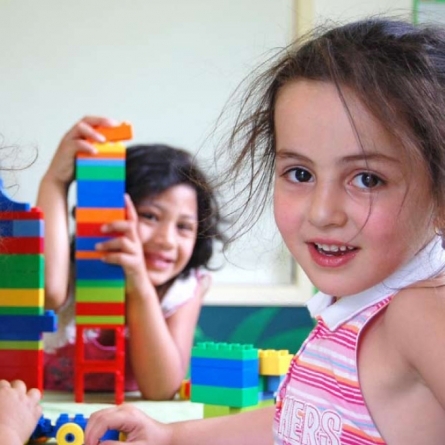 Child development is one of the few arms of psychology which spawned not only out of scientific curiosity, but also due to the curiosity of men and women in general. Psychological research was mainly stimulated by social pressures to better the lives of children; for example, in the early stages of public education it was a gray area as to what and how children were going to be taught; teachers had no idea what ages children were ready to learn certain information, and so they needed an outline of when children need to learn what in order to develop properly. Physical – changes in body size, proportions, appearance, functioning of the body systems, perceptual and motor capacities, and physical health. Cognitive – changes in intellectual abilities, including attention, memory, academic and everyday knowledge, problem solving, imagination, creativity, and language. Emotional/Social – changes in emotional communication, self-understanding, knowledge about other people, interpersonal skills, friendships, intimate relationships, and moral reasoning and behaviour. I have already touched base on physical/cognitive development as well as social development in my previous psychology guides; however, these current guides will explore the subject in much more depth. One thing that should be obvious to you so far is that the three areas of development, outlined above, are not detached from each other, but rather coexist in the development of a living, growing child – physical changes (eg: puberty) often come with changes in thought processes and social development. If you were born with a Facebook account, this might’ve been your profile picture! 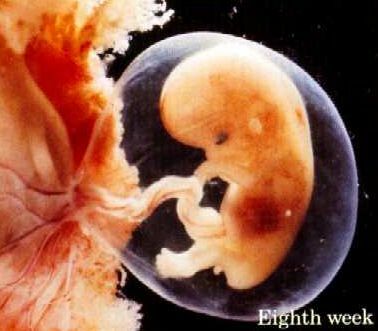 The prenatal period: (conception to birth) – in this 9 month period, the most rapid time of change, a one-celled organism is transformed into a human baby with remarkable capacities for adjusting to life in the surrounding world. Infancy and toddlerhood: (birth to 2 years) – this period brings dramatic changes in the body and brain that support the emergence of a wide array of motor, perceptual, and intellectual capacities; the beginnings of language, and the first intimate ties to others. Infancy spans the first year and toddlerhood spans the second, during which children take their first independent steps, marking a shift to greater autonomy. Early childhood: (2 to 6 years) – the body becomes longer and leaner, motor skills are refined, and children become more self-controlled and self-sufficient. Make-believe play blossoms, supporting every aspect of psychological development. Thought and language expand at an astounding pace, a sense of morality becomes evident, and children establish ties with peers. Middle childhood: (6 to 11 years) – children learn about the wider world and master new responsibilities that increasingly resemble those they will perform as adults. Hallmarks of this period are improved athletic abilities, participation in organised games with rules, more logical thought processes, mastery of basic literacy skills, and advances in self-understanding, morality, and friendship. Adolescence: (11 to 18 years) –this period initiates the transition to adulthood. Puberty leads to an adult-sized body and sexual maturity. Thought becomes abstract and idealistic, and schooling is increasingly directed toward preparation for higher education and the world of work. Young people begin to establish autonomy from the family and define personal values and goals. For many youths living in the world today, the transition from adolescent to adult roles has become increasingly prolonged – so much so that some researchers have formulated a new period of development called emerging adulthood, which spans ages 18-25. Although emerging adults have moved beyond adolescence, they have not yet fully assumed adult roles. Rather, during high education and sometimes beyond, these young people intensify their exploration of options in love, career, and personal values before making enduring commitments. As the period of emerging adulthood has only surfaced during the past few decades, researchers have only just begun studying it (Arnett, 2000, 2003; Arnett & Tanner, 2006). describe the behaviours of infants around 6 to 8 months of age as they seek the affection and comfort of a familiar adult. predict the consequences of this emotional bond for future relationships. Theories are vital tools for two good reasons, firstly they provide organising frameworks for our observations of children, in other words, they guide and give meaning to what we see. Secondly, theories that are verified by research often serve as a sound basis for practical action; once a theory helps us understand development, we are in a much better position to improve the welfare and treatment of children. As we will discover, theories are influenced by cultural values and belief systems of their times; however, theories differ in one important aspect from mere belief and speculation: a theory’s continued existence depends on scientific verification. In other words, every theory must be tested using a fair set of research procedures agreed on by the scientific community, and its findings must endure, or be replicated over time (we will explore various research procedures in the next installment of this guide on child development). 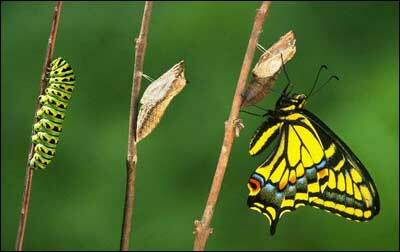 Whether the course of development is continuous or discontinuous. Whether a course of development characterises all children, or only some. On the next page we will begin to explore these basic issues. We are all very used to chronological order, so I will begin with the 1st issue on the list: continuous vs discontinuous development.